Over the last years, I found parts of my website used on other websites quite often. Complete pages as well as excerpts and pictures have been taken from my site without asking me for permission. In some cases, I’ve been successful in convincing these webmasters better not to steal my content, in other cases, I wasn’t. That’s probably an issue that you have to get used to if you run a popular website; you simply can’t help it. Today, I found a, well … somehow funny thing. 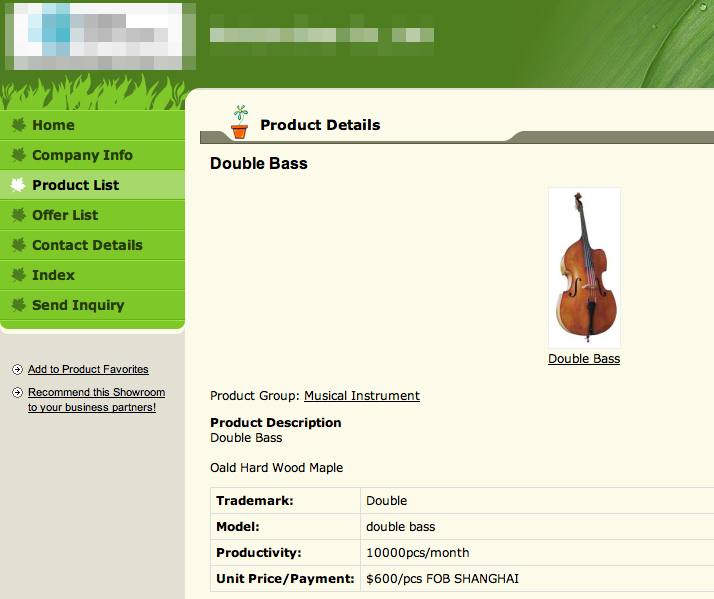 A chinese company offers my 1954 Framus Cutaway double bass, on which I’ve just practised before writing this post, for 600 USD only. Wow, my Framus that cheap? 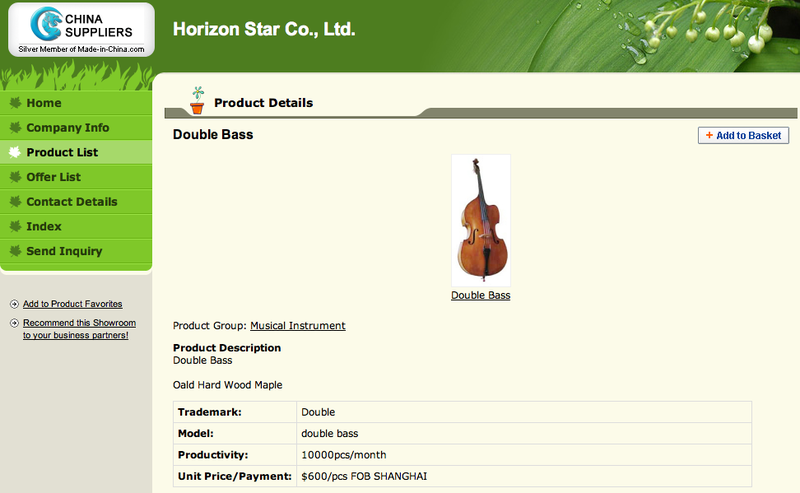 This entry was posted in Bass Making and tagged China, framus. Bookmark the permalink.